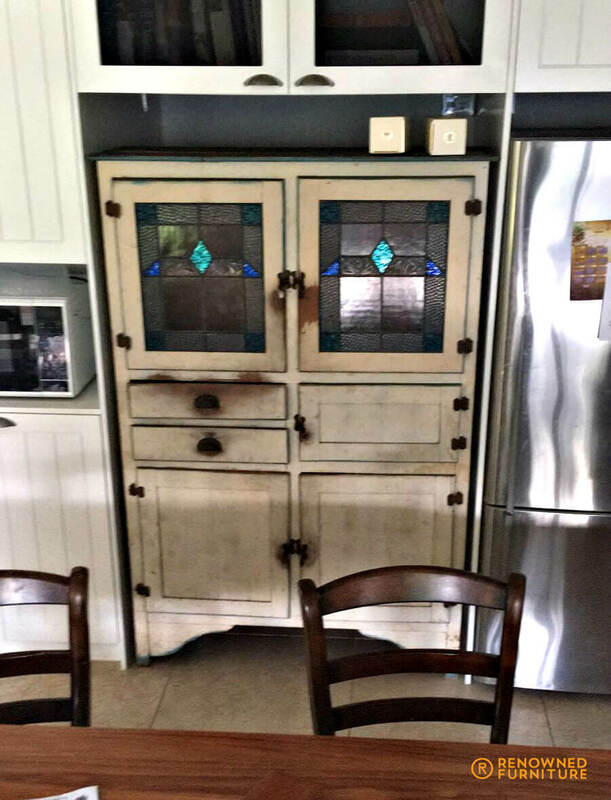 The client recently had kitchen refurbishment, and the designer decided that the kitchen hutch, which is original to the house, needed to be incorporated into the design. 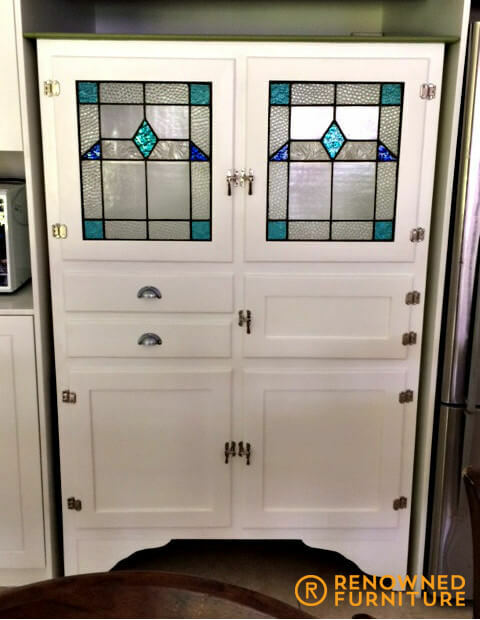 Renowned set about cleaning up and repairing the kitchen hutch and gave it a fresh coat of paint. It now looks like it belongs again.